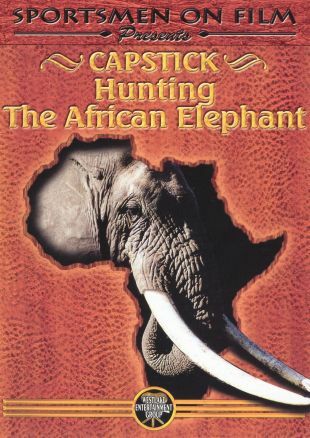 Part of the Capstick instructional series, in which professional game hunter Peter Capstick invites viewers on exotic location for a demonstration of technique, Capstick: Hunting the African Elephant briefs hunting enthusiasts on the strategies and risks of hunting the African elephant. Capstick offers folks at home practical advice for tracking the elephant and harvesting the large animal. In this episode, Capstick travels with professional hunter Volker Grellman -- the men manage to capture a seven-ton elephant.